Bump! Set! Spike! 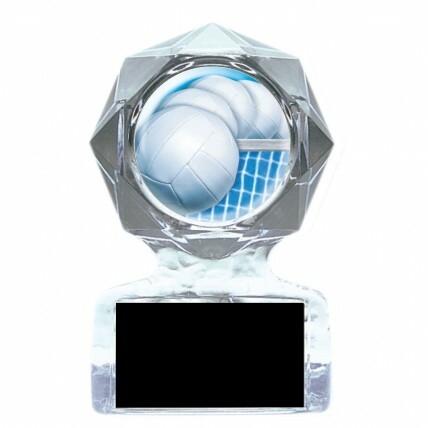 Your volleyball stars will love the Acrylic Action Volleyball Serve Trophy! 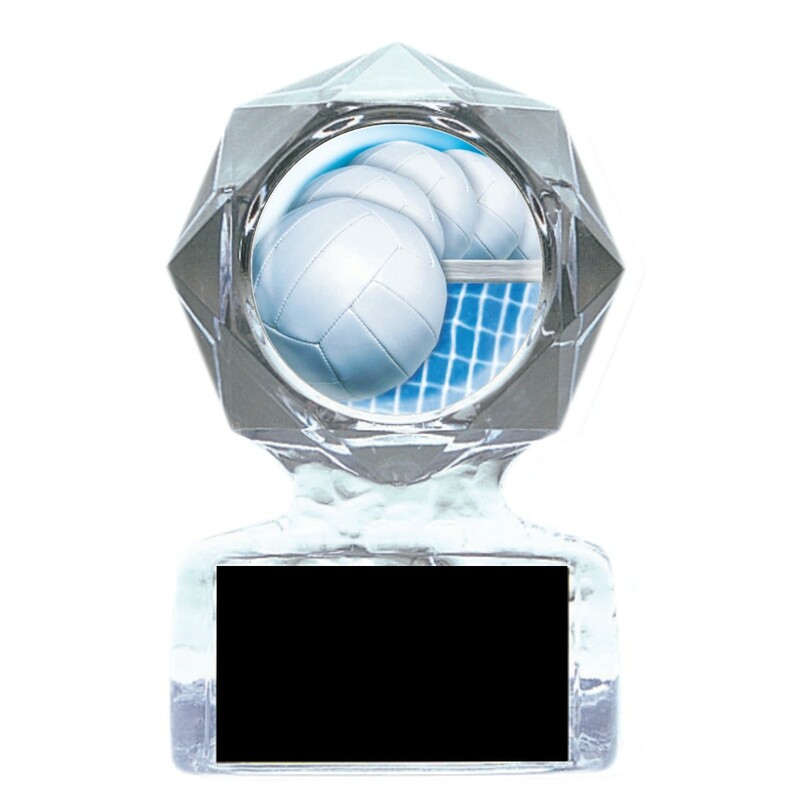 This award has a full color holographic mylar with a spiked volleyball soaring over the net. Set in a star-shaped dimensional clear acrylic trophy, this award is sure to impress the team! 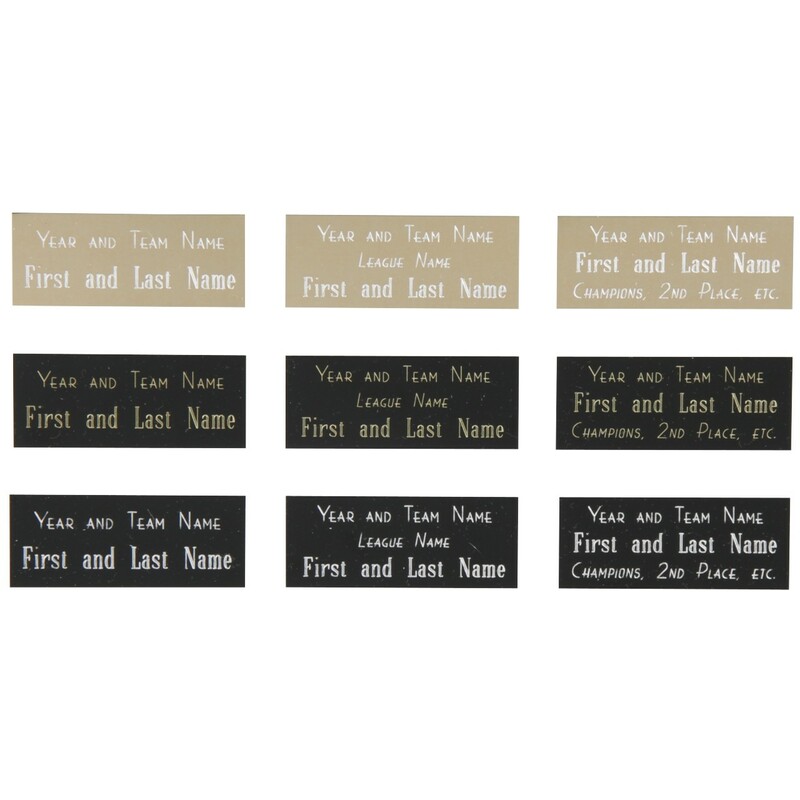 Your personalized text will be done on a black brass plate. You choose from two sizes!